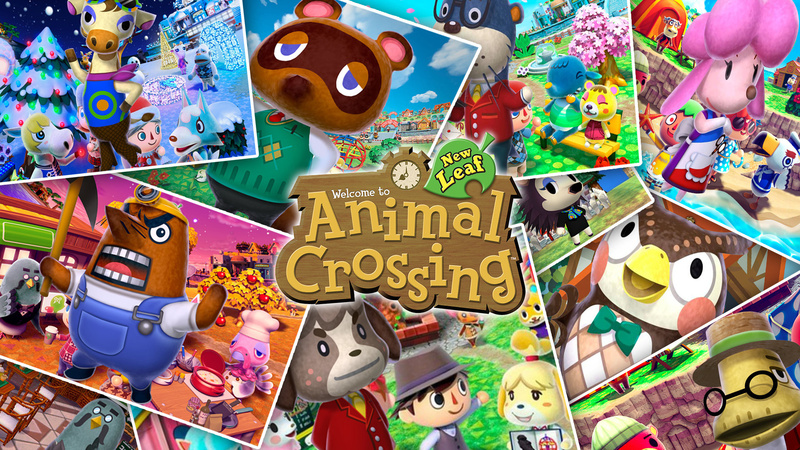 The long-awaited update for Animal Crossing: New Leaf is available for download as we speak. This welcome news was announced during today's Animal Crossing Direct. The update brings amiibo support to the game for those playing on the New Nintendo 3DS or using the NFC Reader. Fire up that 3DS and get playing. Once you've had a look around, let us know what you think of the new update by posting a comment below, and you can also get a breakdown on the new features right here. Couldn't watch any more of that cringey Direct. It started so badly. I hope those of you who own the game enjoy the update. But to me it's nothing more than a cheap and lazy attempt at flogging more SCamiibo. Sounds great...so glad they haven't forgotten the brilliant new leaf! Is it up in North America? I noticed the Direct was on the UK Nintendo channel. Either way, update seems nice. 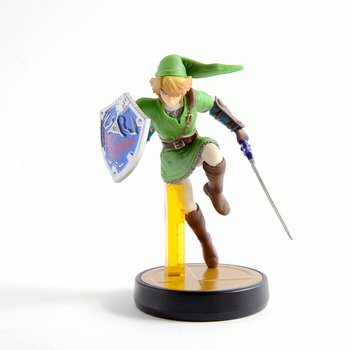 My only minor gripe was that Smash amiibo that aren't Zelda don't seem to be supported. I think this would have worked better in native Japanese. It was a bit painful to watch in English to be fair..I do love ac and will download this tonight though. @PlaytendoGuy They are. They're called SCamiibo. Don't bother responding to this guy ^. This game came out in November 2012 (in japan). So four full years later, they're giving us a large amount of free new content to experience. That's amazing. Wait, WHAT ?! NOW ?! @DarthNocturnal The Smash Zelda amiibo sans Ganondorf appear to be compatible, based off the amiibo they showed off. It keeps giving me an error when I update via the Update Data button on New Leaf. Other than that... WORDS CANNOT EXPRESS MY HYPE RIGHT NOW, I CAN LITERALLY TASTE SOUND AND READ MINDS, I HAVE EVOLVED TO A HIGHER LEVEL OF CONCIOUSNESS, THE HYPE HAS CONSUMED ME, I MUST BATHE IN THE GLORY OF MY AMIIBO. I can't wait for this! Updating now! Best quote from the direct: "LIFE WITHOUT AMIIBO: IT'S STILL WORTH IT." Was the Amiibo Festival Wii U game getting updated as well? @SLIGEACH_EIRE Perhaps you should lighten up a bit and then such a direct won't be so cringy for you. Animal Crossing is also one of those games targeted at a younger audience, thus, the direct would follow suit. Not everything Nintendo does has to appeal to jaded Nintendo fans like yourself. @Aurumonado He's one of those special snowflakes who is jaded and negative, thus, he must project that onto others to feel better for having such a crappy mindset about most things in life. It's pretty sad really. I thought that was a pretty entertaining Direct. I like how Nintendo doesn't take itself too seriously in little videos like this. It seems like a sizable update, too! @ericwithcheese2 Nintendo not taking itself seriously with their Directs is what makes them so entertaining and charming. It wasn't some boring, bland or pretentious presentation. It was light, charming and cute, just like Animal Crossing. I wish more people would have this mindset instead of calling it cringy or kiddie. The Direct was quirky n fun. where can i get the 3ds and wiiU item for the minigames? The only Amiibo I have is the Smash Princess Peach, and I bought that back in 2014. I might need to buy some Animal Crossing amiibos. Seems like a cool update. @SLIGEACH_EIRE Amiibos are $4 on amazon for a really cute and well painted figure. If you dont like cute figures, congrats! You're dead inside. If you don't have $4, congrats! Get a job hippie. @shonenjump86 i got each of my AC amiibos at bestbuy and amazon for $3 each. Used free coupon offers and "$5 off your next order!" deals to get them all for free. @russellohh Not everyone in the world likes to buy cute toys. Shocker isn't? I'll have to look into it. I also want a few more Smash Amiibo's. @TwilightOniAngel weird that they'd be a member of a Nintendo website, then. I guess they love all of Nintendo's bloody and gory gardening equipment? Since... cute toys is literally the only thing Nintendo makes. And this is a Nintendo fansite. The Net Glitch and Tripping into the River Glitch have both been patched. I'd imagine the Tweeter Glitch is too. Spread the word, today has been a baaad day. I'm at work and don't have time to watch the direct. Anybody got a good digest I could read? I'm really looking forward to adding Zelda and Splatoon-themed villagers to my town, along with some other villagers. How big is the update ? It takes quite long to finish. Right now i'm downloading the update. I really don't like they way to seem to be locking even more content away behind amiibo. comparing teh cost of amiibo to the content given it's quite expensive but it is locking virtually the entire update out for people who don't have amiibo. And don't bring up the mini games, i dont need a match 3 game, and the desert game looks like something you play once and that's it. The Direct was so much fun and so adorable! AND HOLY MOLY THOSE NEW FEATURES!!! HHD Interface, Hoarders room, finally making AC Amiibo useful, the best minigame from Amiibo Festival, AC Puzzle League and more! AND ALL FOR FREE. How the heck can someone complain about this?! Blabla locked behind Amiibo: Not everything in this update and its a FREE update to a 4YR old game! We didn't deserve any of this! I know, hence why I said “Smash amiibo that aren't Zelda“ (as in the franchise). The first new villager to enter my town is Blanca. She looks so creepy >_> I really like the daily and weekly tasks. It will give you something extra to do when your feeling bored. Cool Direct, I'm looking forward to playing the update. @russellohh Not everyone in the world likes to buy cute toys. You know how to read? Or you just know how to buy toys? Cause i didn't say anything about Nintendo, or this site or hell even about blood and gore. This might blow your mind. But not everyone is a 32 year old manchild that likes to buy toys. @russellohh What a stupid and childish response. Just because you got some at $4 doesn't make that they're RRP. Here in Europe they cost at least €15 each. And no I won't buy any more, I do own a number of them. But I disagree with SCamiibo and what they represent. They're DLC in Trojan Horse clothing. @russellohh Best response I've seen all day! You truly have to be dead inside to not find anything from this Direct cute, charming or fun. That and disliking colourful and well designed figures. Completely disagree. He's got a manky column of urine plastered against his leg for balance and he's staring at the ground. That is not good design. And I can say that as I own it. Some people really are miseries. @ROBLOGNICK Miseries or Mii series? @SLIGEACH_EIRE Showing one of the 3-4 early and badly designed amiibo...LMAO! Looking at your comments the only thing you do is complain about everything Nintendo on a Nintendo focused website. Go be a bored whiny joyless sour baby boy somewhere else, you are boring everyone. Yawn. @DarthNocturnal Sorry! Misread your comment. @AyeHaley LMAO! "Looking at your comments the only thing you do is complain about everything Nintendo on a Nintendo focused website." You need to learn how to read then. And I've clearly touched a nerve. "bored whiny joyless sour baby boy"
Again, LMAO! Your tears sustain me. @AyeHaley Notice how he didn't even comment on the point you made about the Amiibo he was tearing apart. Classic, soulless gamer. Doesn't use logic but only likes to be a joyless douchebag cause he wants others to be void of a joy and happiness as well. Like literally, almost every comment I've seen of his has been negative. Its quite sad when you really think of it. Someone who is so focused on the negative and can only see the negative of everything truly is a pitiable individual. It's sad really. Sad and pathetic, and they will never admit it to themselves until they're older and wondered why they got so intense over freaking Nintendo and video games. @SLIGEACH_EIRE You must be fun at parties. @SLIGEACH_EIRE i've noticed the same thing. more than 99% of your comments are negative. @manu0 When did you take up lying as a hobby? @Lucina "Like literally, almost every comment I've seen of his has been negative." My hatred of SCamiibo is as valid as anybody's like for them. "I hope those of you who own the game enjoy the update. But to me it's nothing more than a cheap and lazy attempt at flogging more SCamiibo." But no, people like you can't let the negative bit go. You're also quite clueless as well as a liar. I'm a massive Nintendo fan. Have owned every Nintendo system since the SNES on launch day. And you name it, I own it on Wii U.
Yeah,I mean,how dare Nintendo to add more free content to an 3-4 year old game giving people more reason to play it again? And how dare they to add more functionality to figurines that most Nintendo fans already have at this point and to cards that I could find for literally a penny on Ebay? They even add more free content to the game that unlocks without the need of any amiibo,they gotta be kidding with us! Boys, boys, stop taking Animal Crossing so seriously. @PlaytendoGuy they kind of do as you have to buy amiibo. So Nintendo just allocated and wasted sources/time just for a game update? Whoop dee freaking dah. I bought way too many amiibo. What was I thinking? You scan one of the 16 Amiibo's, then you get the chance to buy a new 3ds or Wii U! @Aurumonado still need amiibo to do them though. 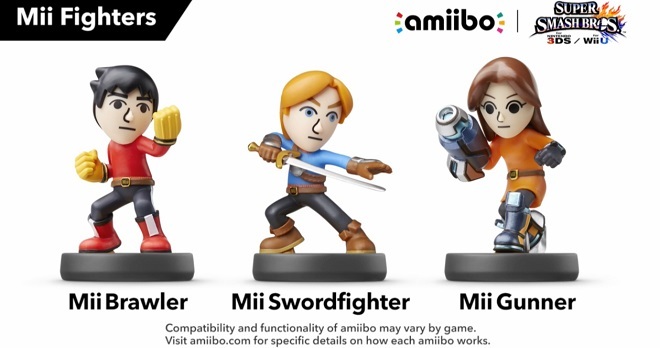 None of this works without amiibo to unlock them. They're trying desperately to get the massive stock of figures and cards to sell, as most stores have put them on clearance to unload the large quantities. @SLIGEACH_EIRE Yawn Yawn Yawn. Bore Bore Bore. Go and play your Playstation, and leave the Nintendo games to the people who like fun. @olrodlegacy I don't own a Playstation, never have, never will. Never owned a Microsoft console either. You don't know what you're talking about. I do love it when there are so many more comments complaining about the complainer than from the complainer complaining. @Niinbendo Some would find that highly offensive. And didn't you say that earlier? @Niinbendo I'm not going to report it, I'm not like that nor easily offended. Just saying that organisation is not the best reference to be making a joke out of. And look how easy some people are offended here. Say something negative about SCamiibo and they come kicking and screaming. Not everything Nintendo does is positive, there's many reasons why they're in trouble. All the praise for this free update so many years later is a testament to how our expectations of Nintendo have tanked. The old Nintendo by now would have created a proper sequel with new and interesting ideas in addition to amiibo support. OK so they even added stuff from Happy Home Designer, and created mini games from the ground up, but still no skin color slider? @MentalFear but i cant use amiibos. any other way to get those items? @SLIGEACH_EIRE You're right, not everything Nintendo does is positive, nobody is denying that, but not one single company nor individual is perfect. They all have flaws and weaknesses. But Nintendo seems to get WAY more flack for some pretty asinine reasons. People just love to hate on Nintendo and be negative about them. It's ok to be critical, but there comes a point where constructive criticism can become being nasty just because you dislike something. Also, it's best not to treat video games so seriously. I think being passionate is fine, but there comes a point where being too passionate can make you either a deluded fanboy or someone so negative, they in turn push their negativity on others and revel in people they disagree in. You're one such individual. Too caught up in the negative to see the good right in front of you, and being a real jerk about your views. It's almost like you desire to find conflict and have others challenge your opinions. Word of advice, try to be grateful for what is given to you and what you currently have. You'll quickly realize it's not as bad as it seems in terms of Nintendo, life and all things in general. Again, I believe it's fine to be somewhat critical here and there, but it can consume you and turn you into someone full of negativity and a sour view of what you enjoy. I'm 32 years old young man. I have NDS, 3DS, Wii and Wii U. The new update of ACNL was really PERFECT. I Love ACNL. I LOVE Kiddie stuffs and what's wrong by being Kiddie and having Amiibos ? Cute toys are NOT a disgusting things. Try to embrace. Also, I decorated my bedroom with my own Kiddie creations and all of them looks so Cute. If your 3DS is older model, buy NFC reader first and then buy some Amiibo figurines or cards that you need for. If your 3DS is newer model, just tap the Amiibos on the lower screen. Happy gaming. I got everything Animal Crossing amiibo for $100.oo over the summer. That includes the WiiU game. I just need the cards now. Well, every AC amiibo plus Villager and the summer Isabelle! They can be in the fortune cookies, youll have to be very lucky though! "truly is a pitiable individual"
"cry me a freaking river you deplorable, entitled babies"
"You disgrace yourself and those around you with your spoiled little princess act. It's disgusting! It's revolting!" "I swear, gamers are some of the most entitled little snobs I have ever had the displeasure of meeting. Arrogant, self-righteous, ignorant and petty. It makes me sick and I feel ashamed as a fellow gamer when I see such a deplorable display of entitlement"
"People who say they won't pay more than this disgust me"
"There's honestly reason why you should sound like such a piece of crap about a freaking video game company. It's beyond pathetic and quite shameful"
"You're literally a cancer when it comes to the gaming industry"
"Stop being a low life... you selfish little brat"
"you sound like an absolute, arrogant tool by suggesting something so asinine. Absolutely disgusting in every single way"
"It's beyond pathetic. Truly pathetic"
Please don't try to beat other people down. You don't seem to like others being negative, but you express that in quite a negative fashion yourself. A few users have picked up on this and reported it, so I wonder if you'd like to reflect on how you compose your posts and experiment with a bit more of a friendly tone. Thanks. @Niinbendo That post directed towards @SLIGEACH_EIRE had controversial/inappropriate written all over it and has been deleted. Let's not make comments about where people are from etc. Thanks. And fwiw, someone else reported it. @SLIGEACH_EIRE In general your posting around here recently has seen a vast improvement over how much of it was a few months back - you've been fun and friendly, and less of the negative stuff has crept in. But in sections like this one, maybe keep a low profile if you don't like the subject, rather than potentially spark others into making digs at you. I don't like how other users hounded on you in this section, rather bully-like behaviour in one or two posts, but it doesn't help if you keep engaging with them. Um.... pardon me. I still single, not married yet. And I am 32. @Anti-Matter oh. Ok. Happy gaming. Does anyone know if any fire emblem amiibo work with this?